Waiting for the start of surgery is a major obstacle in the drive to increase the availability of surgeons in top Chinese hospitals, surgeons who are badly needed for other clinical duties. Appointment scheduling appears in many systems to improve server utilization and smooth the work flow. The goal is to balance the time customers spend waiting for available servers with the time servers spend idling and the overtime servers incur while waiting for the customers to arrive. 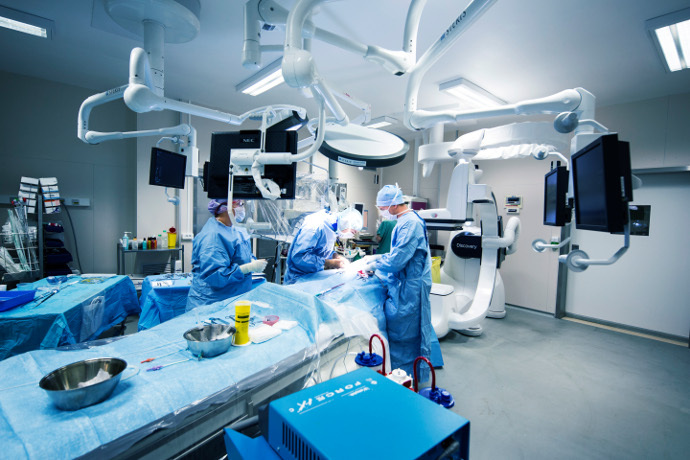 Surgery appointment scheduling is complicated further by the presence of multiple operating rooms (OR) and dynamic surgery-to-OR assignment, which implies the surgeon is not fixed to an operating room until the surgery begins. Doctoral students from Shanghai develop a simulation-based optimization approach that anticipates the dynamic surgery-to-OR assignment in determining appointment times. The simulation helps to smooth the impact of dynamic assignment to the systemwide cost and makes the problem easier to solve. They demonstrate the potential utility of their approach. In particular, compared to the usual practice of pre-assigning surgeries to ORs, this new approach significantly improves the systemwide cost, and the benefit increases as the OR number and duration variability increase.